Duff Law & Mediation, PLLC’s owner, Candace Duff, Esq., is a Florida Supreme Court certified Civil Circuit and Appellate mediator. Florida Supreme Court qualified Arbitrator. Member of the American Arbitration Association’s Commercial and Construction rosters of neutrals. Bankruptcy Mortgage Modification Program certified mediator. 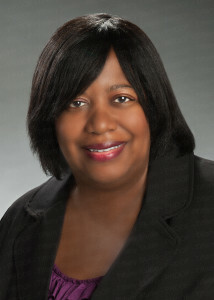 Member of the ADR rosters of the U.S. District Court for the Middle District of Florida and the U.S. Bankruptcy Court for the Southern District of Florida. Board certified construction lawyer and civil trial attorney with more than twenty five years of experience successfully representing clients in civil litigation and construction matters. Mediates and arbitrates civil and appellate disputes including but not limited to construction claims, insurance claims, commercial disputes, contracts, employment discrimination, bankruptcy, ADA violations, landlord/tenant issues, labor and employment disputes, local government issues, qui tam disputes, condominium claims, foreclosure and other real estate matters. Responsible for handling all legal issues pertaining to the Fort Lauderdale Executive Airport, labor and employment matters, probate matters and bankruptcy matters. Provided legal advice to the City Commission, officials, managers and staff on ethical and legal issues. Provided ethics training. Drafted proposed ordinances, resolutions, leases and ethics memoranda. Negotiated with the U.S. Federal Aviation Administration (“FAA”). Oversaw compliance with FAA requirements, deed restrictions and grant assurances. Negotiated, drafted, and handled legal issues arising from the City’s leases with airport property tenants. Represented the City in legal proceedings. Monitored cases handled by outside counsel. Represented clients in complex commercial, construction, condominium, employment, banking, tort, products liability, insurance coverage, aircraft lease, qui tam, and real estate litigation in state and federal courts and administrative proceedings. Successfully resolved cases by way of mediation, informal settlement negotiations, dispositive motion practice and/or trial. “Construction Subcontracting: A Comprehensive Practical and Legal Guide” (Chapter 16), ABA Book Publishing, 2014. Co-authored with Timothy Kolaya, Esq.